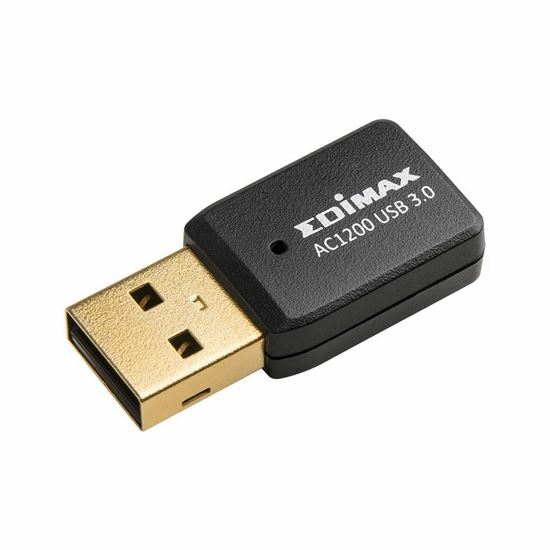 EDIMAX AC1200 Dual-Band MU-MIMO USB 3.0 Adapter. Max speed up to 300Mbp (2.4GHz) and 867Mbps (5GHz). Easy 11ac Upgrade. 11ac MU-MIMO. Small, Stylish Design. 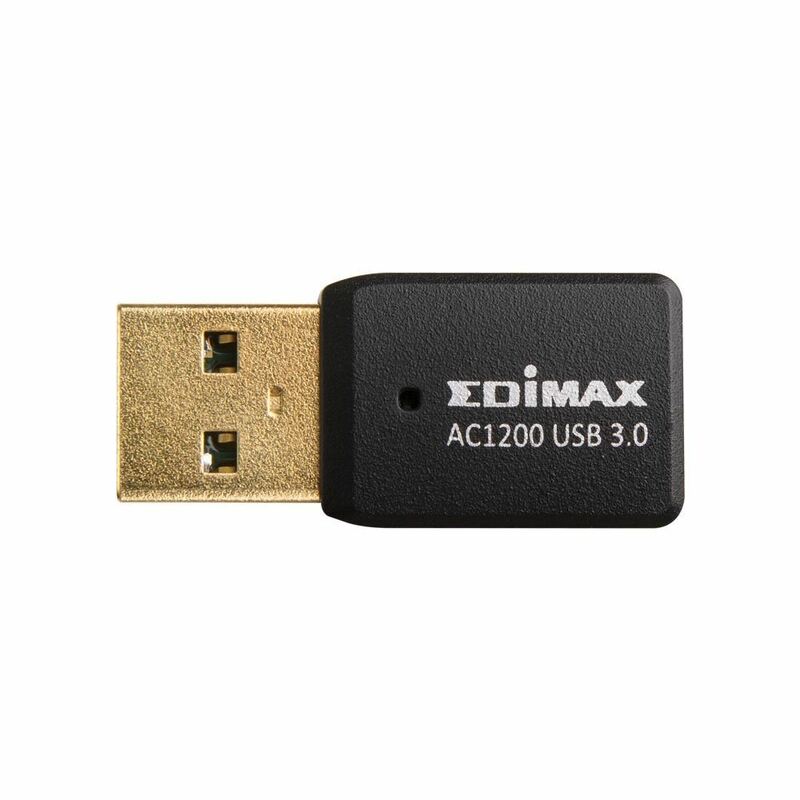 The EW-7822UTC is an AC1200 USB 3.0 adapter that can pair with an 11ac MU-MIMO (Multiple User - Multiple Input Multiple Output) router. 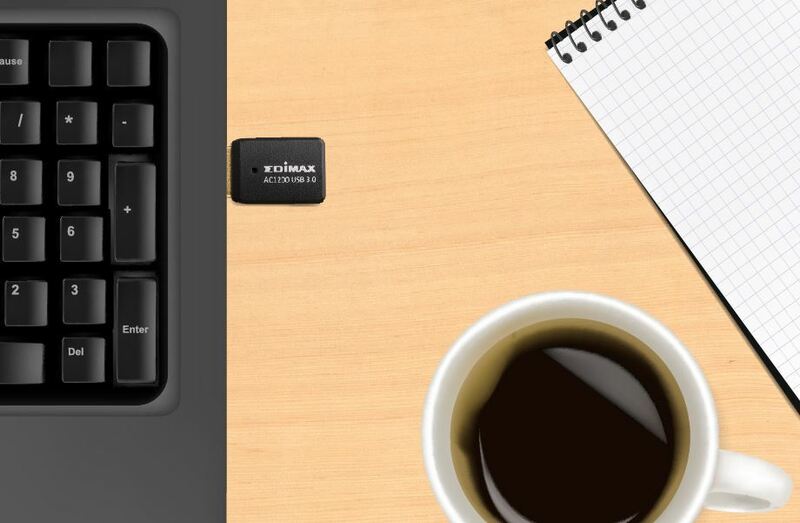 It upgrades your older laptop or PC to a MU-MIMO device and boosts connectivity with super-speed USB 3.0. 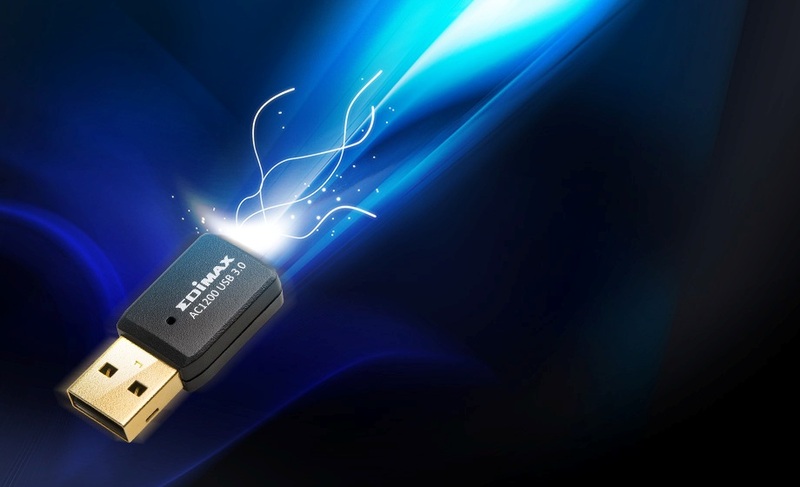 The adapter also runs selectable dual-band Wi-Fi at speeds up to 300Mbps on 2.4GHz and 867Mbps on 5GHz. AC1200 Ultra-Speed Selectable Dual-Band: Max. speed up to 300Mbps (2.4GHz) and 867Mbps (5GHz) with 802.11ac Wi-Fi standard and backward compatible with 802.11a/b/g/n standards. 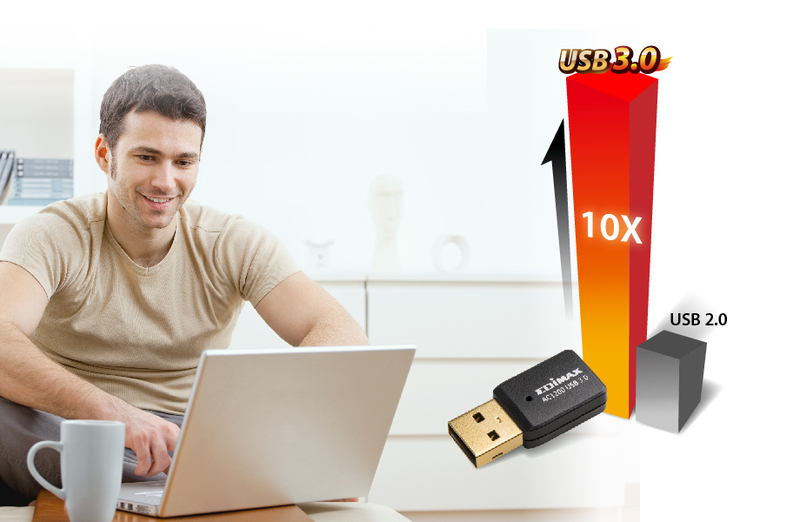 The Latest USB 3.0: Up to 10 times faster than USB 2.0 with data transfer rates. 11ac MU-MIMO: The latest 11ac technology runs four streams and serves multiple devices simultaneously. Beamforming: With beamforming directional signals support, Wi-Fi performance is dramatically improved with better reliability, range and coverage and less wasted signals. 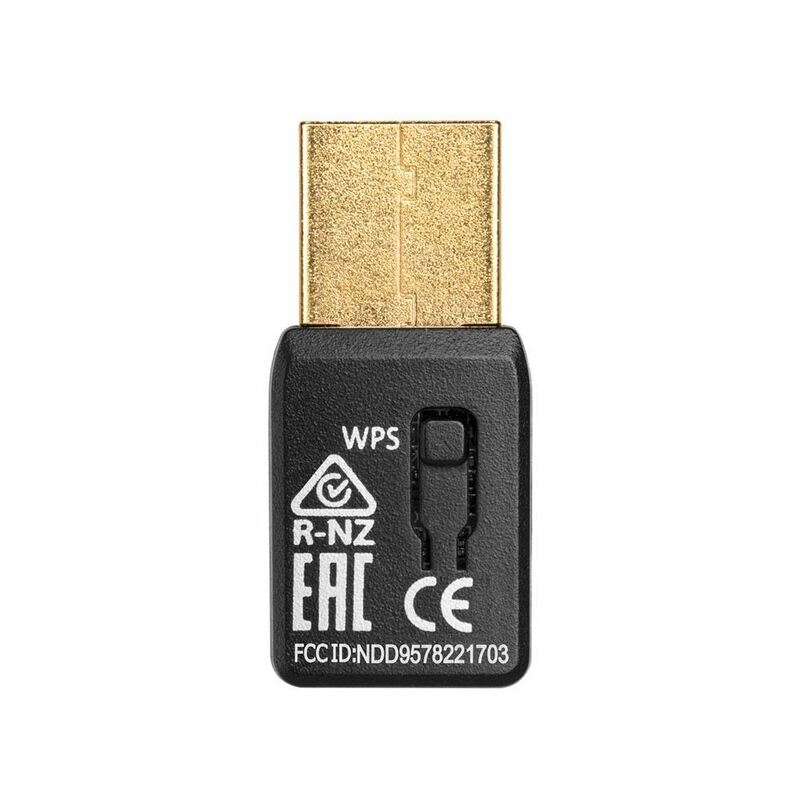 One-Click Wireless Connections: Features the hardware and software WPS (Wi-Fi Protected Setup) button for easy wireless connections. The EW-7822UTC runs ultra-speed 802.11ac Wi-Fi that’s almost three times faster than 802.11n. 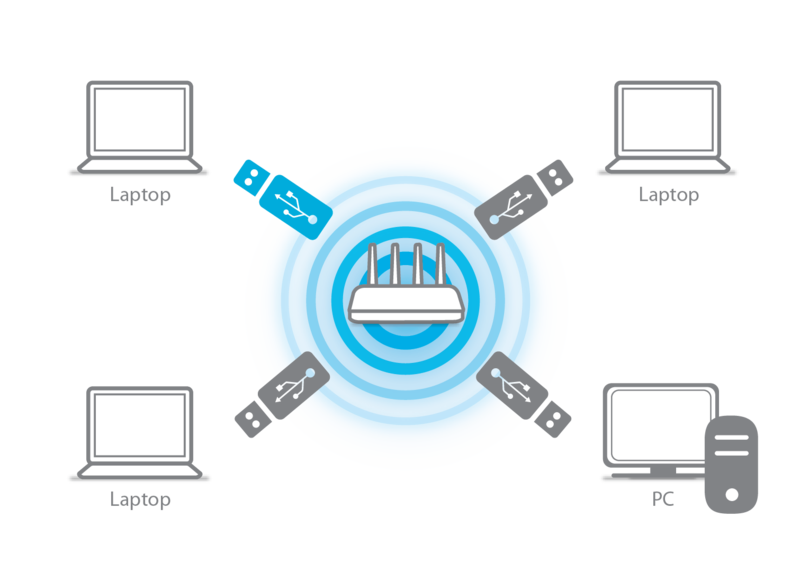 Upgrade your laptop or PC to sport 802.11ac Wi-Fi so you can enjoy online video streaming and multiple data transfers at the fastest speeds. USB 3.0 is up to 10 times faster than USB 2.0 with data transfer rates up to 5Gbps. It’s the latest standard in connectivity and enables devices to achieve the superfast speeds which 802.11ac can provide – for faster photos, music, videos, and data. Experience better performance and greater flexibility with EW-7822UTC for your laptop with dual-band connectivity. Either the 2.4GHz or 5GHz frequency band can be selected with top speeds at 300Mbps and 867Mbps respectively. Surf the internet and check emails on the longer-range 2.4GHz band, or use the high-speed 5GHz band for online gaming and YouTube or Netflix HD streaming.